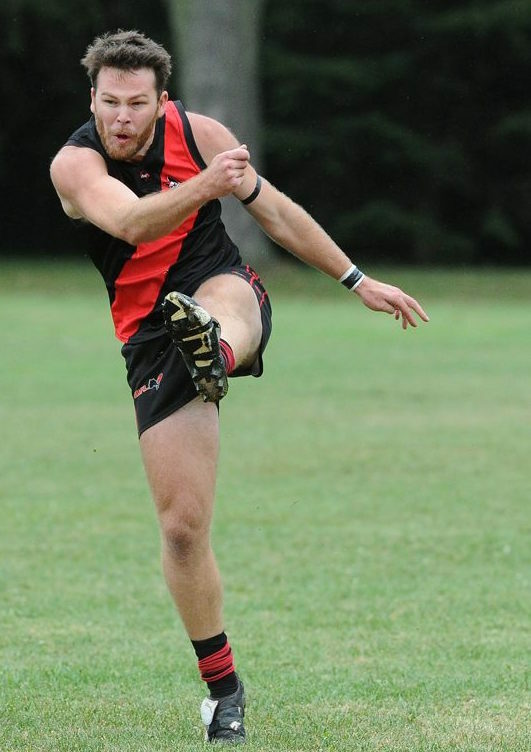 Geoff’s on-field attributes and leadership are sure to hold him in good stead for his first season as coach, and the Dingos’ Executive is excited to see his coaching in action as pre-season commences on February 12th at Upper Canada College. Joining Geoff on the club’s 2016 coaching staff are Assistant Coaches Wade Edwards and Rob “Noddy” McNaughton. Wade is entering his fourth season at the club and his third as an Assistant Coach. While dominating the forward 50 every week, Wade has also provided excellent leadership on and off the field since joining the club, helping new Canadians and Australians to develop their skills and learn the intricacies of the game. Noddy is entering his second season at the Dingos after establishing himself as one of the team’s most reliable players in 2015. Noddy’s leadership skills and knowledge of the game were obvious for all to see in his first season at the club, and it will be great to see him take on an official role in 2016. James Duggan will be taking over the Head Coaching responsibilities for the Dingos’ Division 2 squad after serving as an Assistant Coach for the Premiership winning side in 2015. He will be assisted by 2015 Rookie of the Year Niall O’Kane. The club would like to thank former Division 1 Coach Justin Robertson and Division 2 Coach Gary Conlon for their efforts over the past few years to help put the club in a position to achieve further on-field success in the near future. Without the time and effort that these two put in, the club would not be in the position that it’s in today. If you’re interested in joining the club for the 2016 season, please contact recruiting@torontodingos.ca or head to http://on.fb.me/1OmXj26 for more information.